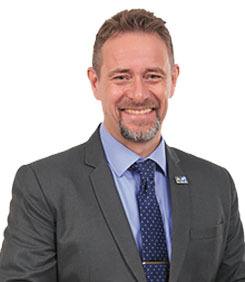 Chris Hind brings a wealth of experience in risk management within the Jamaican financial sector and sound knowledge of fiscal regulatory procedures to the oldest general insurance company in Jamaica. He has served as Head of Operational Risk for the JN Group; and, prior to entering the financial sector, was in charge of Special Investigations at the Revenue Protection Division of the Ministry of Finance and Planning. He was appointed General Manager of NEM Insurance Company (JA) Limited in 2007; and was instrumental in guiding the re-branding of the company to become JN General Insurance Company Limited (JNGI) in 2012. Under his leadership, JNGI has delivered a much improved underwriting performance, rolled out an industry leading corporate outreach program and achieved excellent satisfaction ratings from its brokers and customers. Chris is a graduate of the University of Bristol and the Cranfield School of Business in the United Kingdom. He is a member of the Executive Committee of the Area Four Police Civic Committee and President of the Jamaica Squash Association. He likes to travel, is a keen student of current affairs and modern history and plays squash to keep fit. The Jamaica National Group Limited represents one of Jamaica’s pre-eminent and most recognizable brands, with over 14 decades of history in Jamaica and overseas.